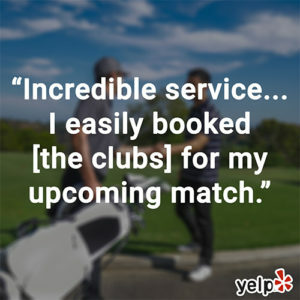 “Incredible service – I wanted to try out a set of PXG golf clubs after reading a review of their virtues. Fortunately I found Clublender. They not only had the clubs, as well as other high end clubs, I easily booked them for my upcoming match. The Clublender pros were more than flexible in arranging the drop off and pickup – the clubs came to me!